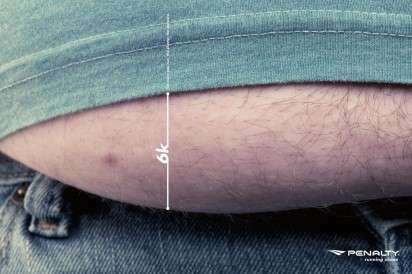 The Penalty Running Shoes ad campaign targets one of our biggest concerns (quite literally) when it comes to being out of shape. 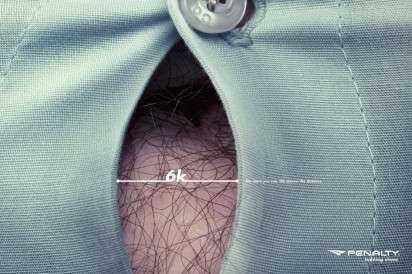 These bulging belly print ads may not be pretty, but they will surely get you looking at your own stomach in a different light. In fact, it will definitely inspire you to grab a pair of Penalty Running Shoes and head outside or to the nearest treadmill to do something about it. 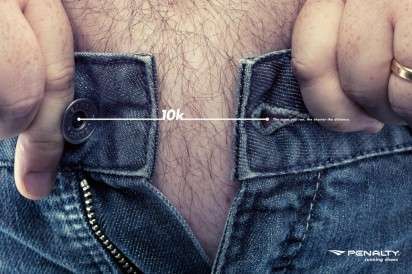 Conceived by Brazil-based ad agency Z, the Penalty Running Shoes ad campaign actually equates each jutting torso with a long-distance run, driving home the point that something can be done about overweight issues. The Penalty Running Shoes campaign was photographed by Rodrigo Ribeiro and illustrated by Boreal.